• Fraser Firs are native to the Southern Appalachian region. They are extremely well adapted to the environmental conditions of Watauga County, North Carolina. For more information about Christmas tree farming in Watauga County, North Carolina, please contact Susanne at 828-264-3061 or E-Mail Us. 1. Scouting trees regularly for both beneficial and pest insects. IPM requires that farmers regularly check their fields for insect populations. Beneficial insects, such as hover flies and predatory mites, as well as problematic. Remember too that one of the great benefits of a REAL Christmas tree is that they can be recycled -- unlike artificial trees that end up in a landfill. There are community recycling programs all across the country. In the Town of Boone, Christmas trees are picked up and recycled into wood chips. For more information contact the Town of Boone Public Works Department. Watauga County is in the northwest corner of the state of North Carolina. What is Choose and Cut? Which is better for the environment: A real Christmas tree or an artificial Christmas tree? How can I contact a grower who has Christmas trees for sale? Contact information for members of the Watauga County Christmas Tree Association can be found on our Members List and on Choose and Cut Farms. It is best to contact individual Christmas tree farms directly; many can be contacted by phone and E-Mail, or through individual Christmas tree farm websites. Can I tour a Christmas tree farm? Where can I get more information about Christmas tree production? Where can I find out more about the North Carolina Christmas Tree Industry? I’d like to visit Watauga County during Choose and Cut. Where do you recommend staying? Select Local Lodging Packages with Select Watauga County Choose and Cut Association Members. Explore Boone Area is an excellent resource for planning a trip to the North Carolina High Country. 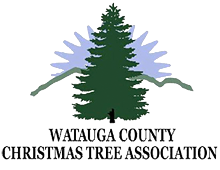 The Watauga County Christmas Tree Association also partners with the Boone Chamber of Commerce, the Blowing Rock Chamber of Commerce, High Country Host, and Blue Ridge Vacations. All provide excellent services to help you locate the best possible lodging, shopping and entertainment experiences here Watauga County, “The Heart of the North Carolina High Country”. Watauga Christmas tree growers contribute to this program and encourage your support as well.